i know this day is supposed to be all about you & your wedding & stuff. 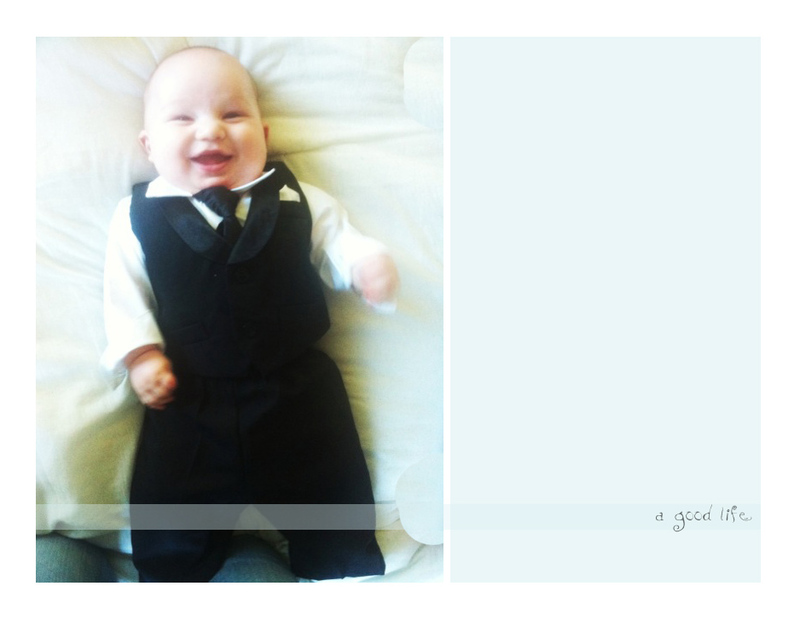 but i can't help it if this little guy & his tux steal the show. more pictures to come. i am without the ability to upload pics from my camera, so iphone shots have to do. and trust me, they don't do him justice. oh yeah, & congrats on your wedding today brian & heidi. it's gonna be great. he is way too cute in that tux! was he the "honorary" ring bearer? haha cant wait to see the rest of the pics! I love the tux! So cute! SO CUTE!!! One of the best part of having kids by far is dressing them up! PS... good luck on the blog-a-thon :) No way I could do it but I can't wait to read yours everyday! Love little boys in dress up clothes like that! Too cute! I am sure the bride and groom looked nice too! you guys for real, i debated whether to even put this picture up because it SOOOOO did not do his whole little outfit justice. we got a ton of super super cute pictures tonight & i am so excited to put them up!! Oh my goodness! Too cute for words! This totally made my day! Haha!